One of the island’s grandest waterfalls is a steep 250m walk up a jungle trail, but once there it is quite an impressive fall. Walk a further 200m up the path and it brings you to a fantastic mountaintop viewpoint. 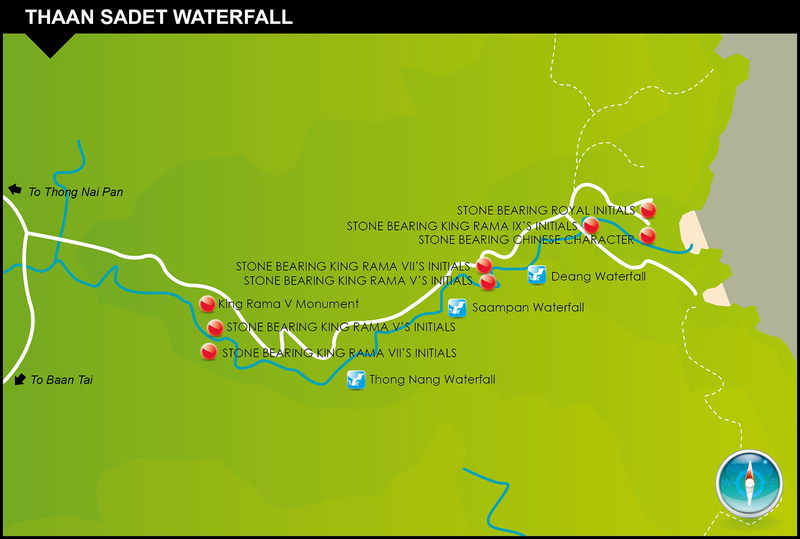 Nearby, there is also a long winding foot trail that leads up the mountain Khao Ra peak and viewpoint. 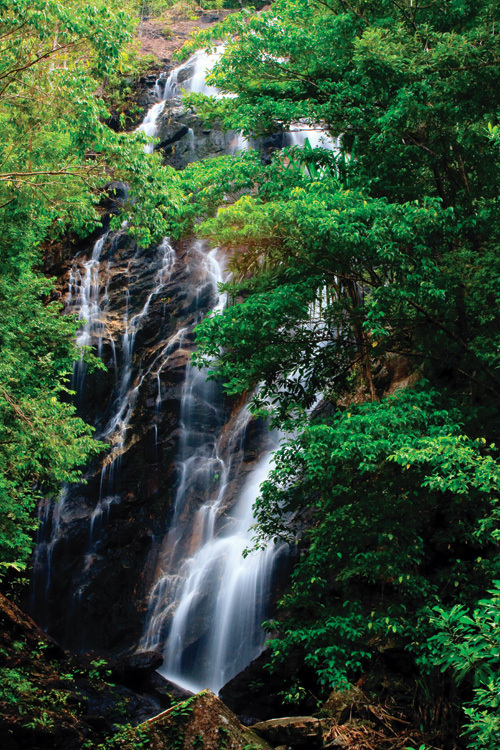 Wang Sai waterfall is situated on the north-west coast of the island near Mae Haad. It flows best after heavy rains and has a number of pools to cool off in. It certainly isn’t the biggest waterfall on Koh Phangan, but it’s a beautiful stretch of fresh water in a lovely spot. See the map on page 166. 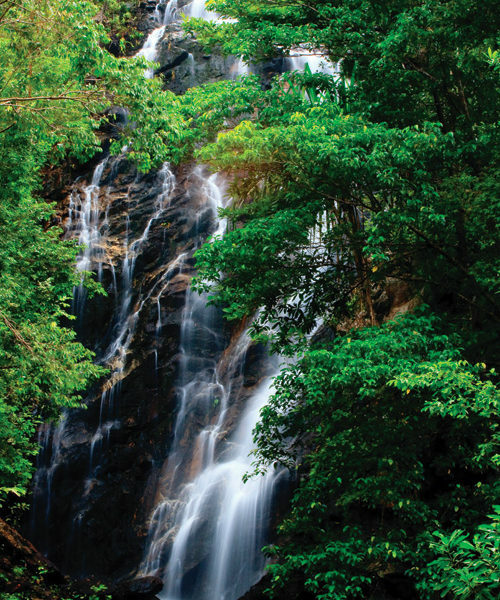 Thaan Prawet is another long scenic series of waterfalls that can either be accessed from Thong Nai Pan Noi beach or from the main road above the bay. It runs for about 2kms and is quite a hard climb further upstream, though there are some great places to chill from the very start of the falls. Thaan Sadet waterfall was first visited by Thai Royalty in 1888 when King Rama V left an inscription on a rock that remains today; he revisited the same spot more than 10 times. The present King Bhumibol has also been to this sacred series of falls, where the river waters are used in certain Royal Ceremonies that obtain water from only a few sources around Thailand. It is a fairy tale of huge granite boulders and multitudes of fresh water pools and can be walked its full length of 3kms. 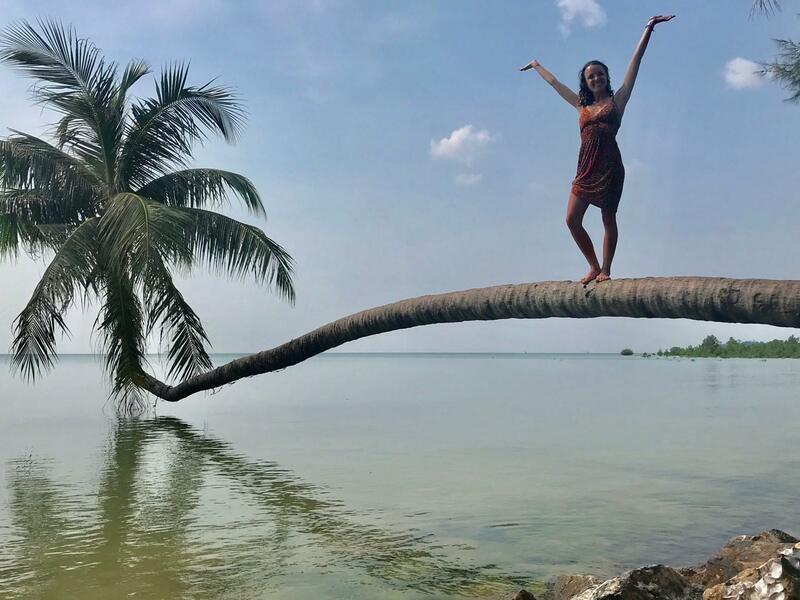 The falls are more like huge stepping stones and can be approached from numerous places; either from the magnificent beach of Haad Thaan Sadet or on the road into Thaan Sadet (beware; only experienced motorcyclists should attempt the Thaan Sadet road, otherwise take a boat, taxi or hire a jeep).